How do I add a contact form to my Website Builder site? 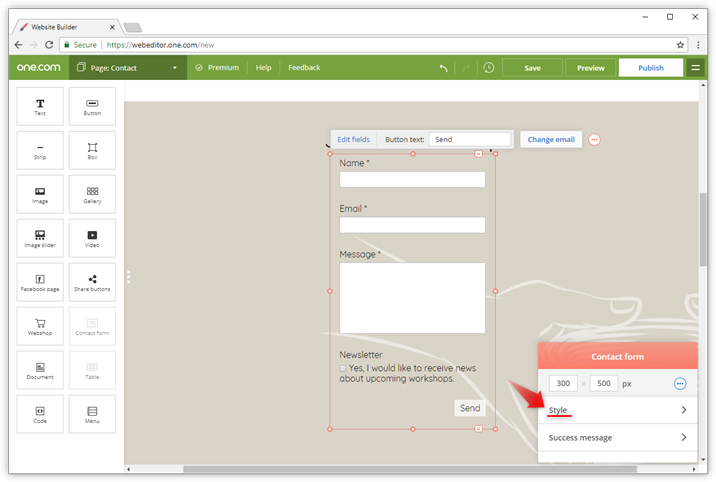 In this guide we show you how to insert a contact form in your Website Builder site. 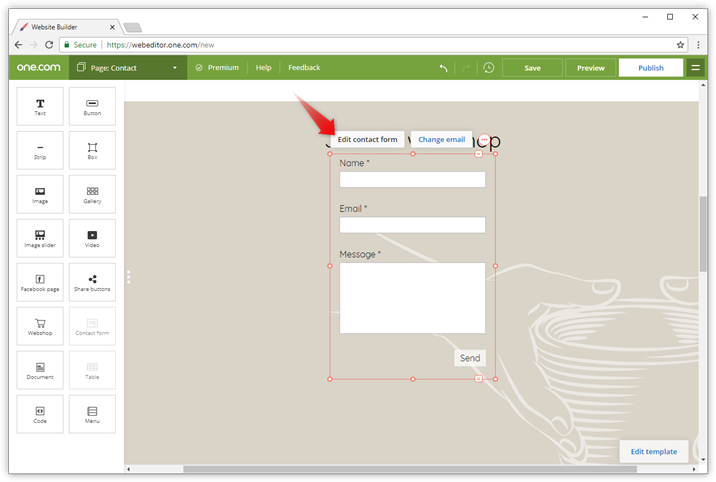 Click and drag the Contact form component from the left menu to where you want to place it on the page. 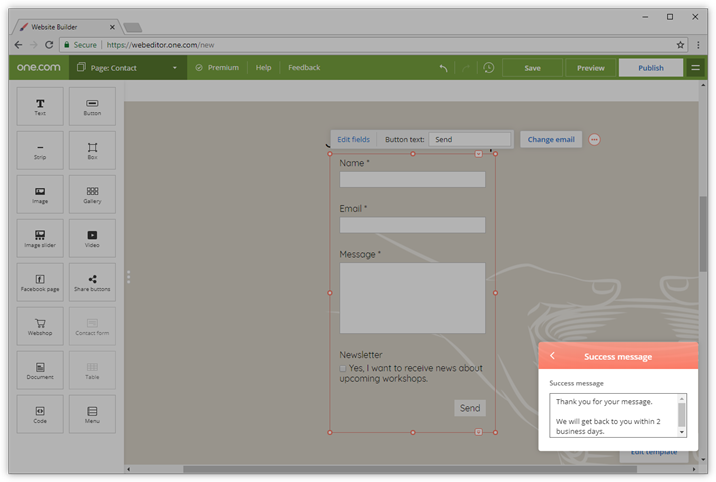 Note: You can only have one contact form per page, so if the component is greyed out, this means you already have a contact form on the selected page. Select the email address that the form should be sent to. You can choose an existing address or create a new one. It needs to be created on your domain. Enter a subject for the emails, for you to be able to recognise the emails in your Inbox. Tip: Set up an email filter to move all contact form emails to a specific folder on your email account. 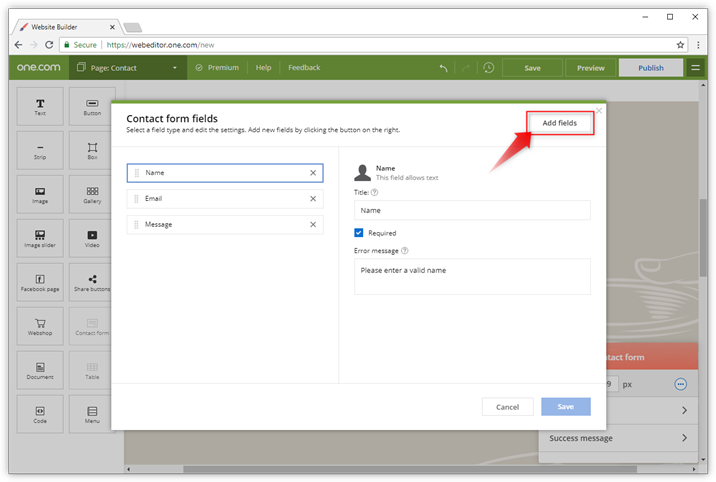 By default, a contact form will have a Send button and three fields: Name, Email and Message. Click Edit contact form to add or edit fields. Click Edit fields to change the default field settings. Tip: You can change the default button text to something of your own choosing. Just click in the Button text field and start typing. Here you can edit the settings for existing form fields, delete fields and add new fields with different options. You can add as many fields that you want. 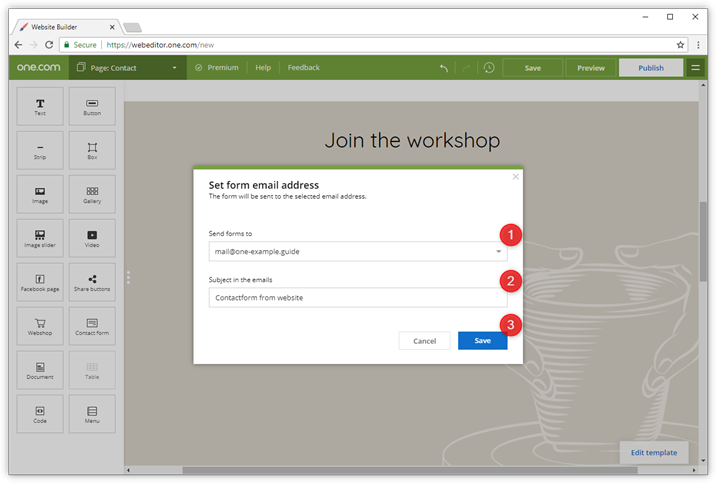 In this guide, we are adding a checkbox for your visitors to sign up for newsletters, but you can add whatever you want. 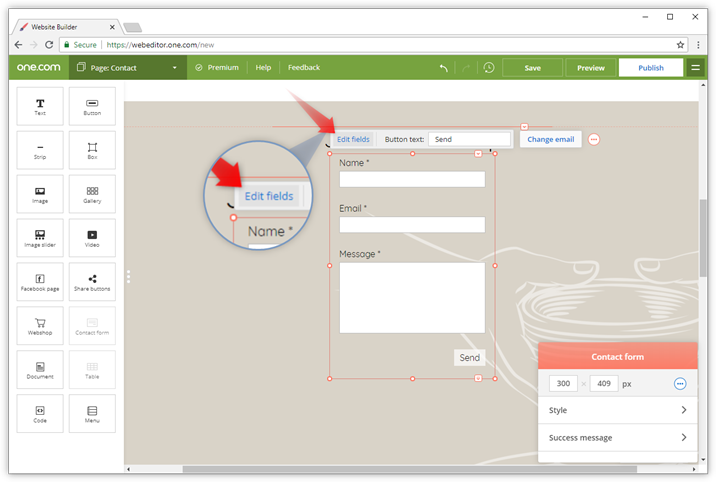 You can add several types of fields to your contact form. In this guide, we are adding checkboxes. Select the field you want to add and click Insert fields. Each field type has different settings that you can adjust. Enter a title for the field, it will be visible to your visitors. Depending on the field type, you can have several options. Click in the option to edit the description, click the X at the end to remove it, or click Add option to add a new one. If it is required that your visitors select at least one option, then keep this box checked. 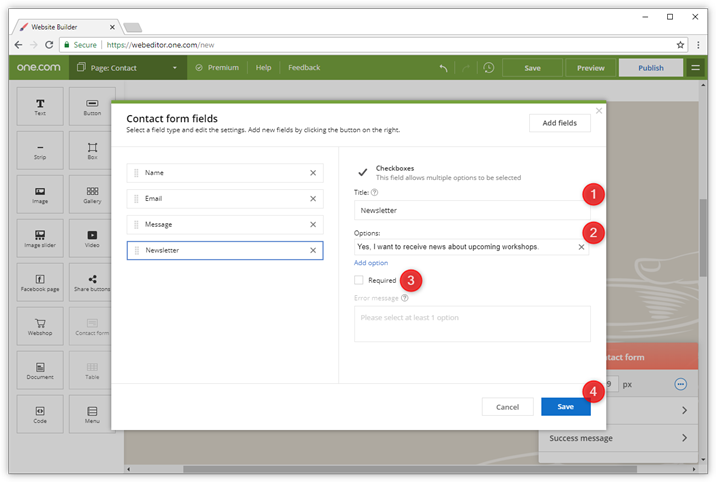 When a field is required, an error message appears when they try to send the form when a field is missing. Click Save to update the form with your new field settings. By default, the contact form will use the Template style, but you can adjust it to a custom one. 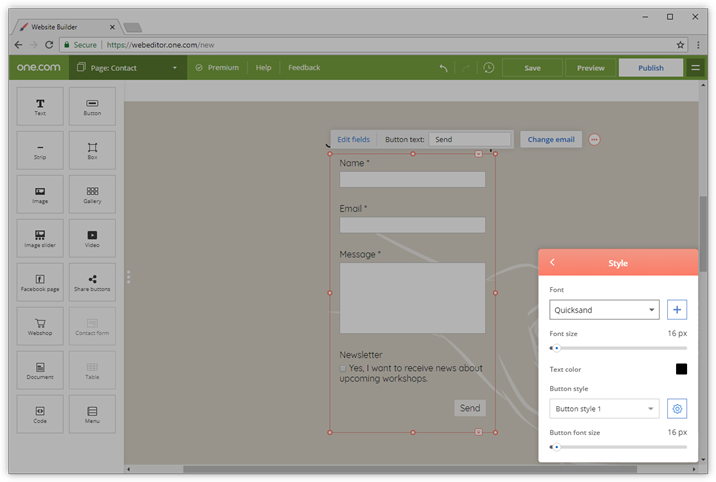 Click Style in the floating contact form settings. You can change settings for the font and the send button. Font: type, size and colour. Button: styling (color, shape and border) and font size for the button. 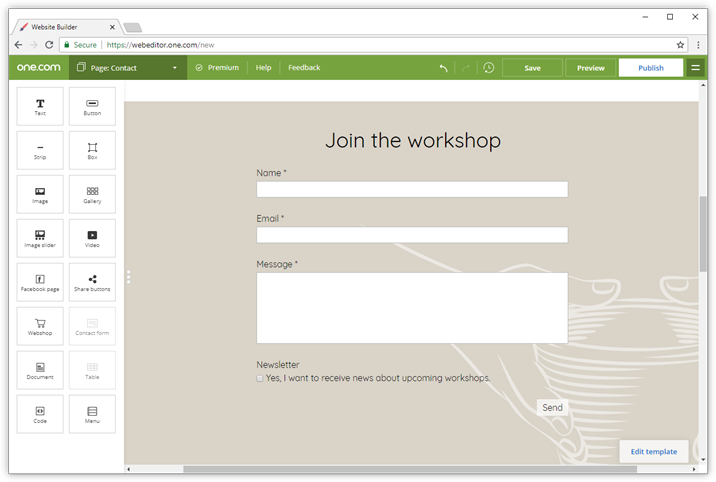 When a contact form has been sent successfully, your visitors will see a confirmation message. 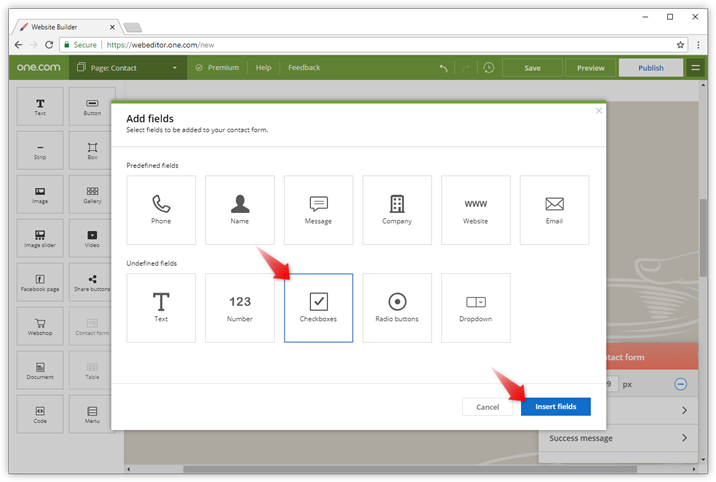 Click Success message in the floating contact form settings, to edit the default message. By default, the contact form will use the following message: "Thank you for your message". You can personalize it by adding your own text. 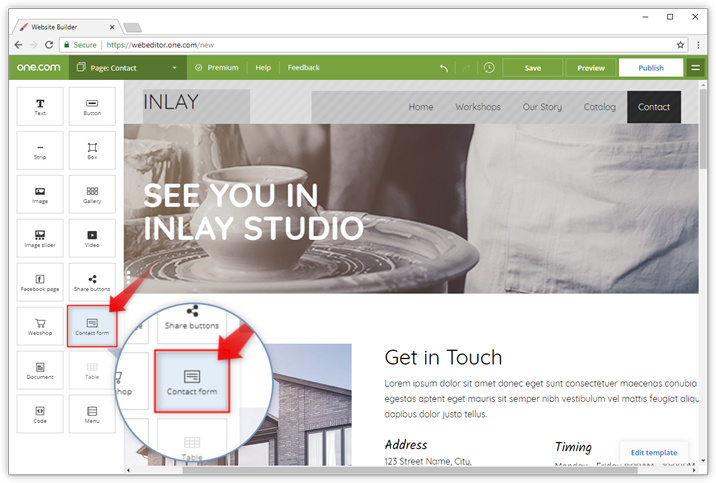 Now that the form has been completed, it's time to adjust placement and size on your website page. Click Save and Publish to make the form available online.